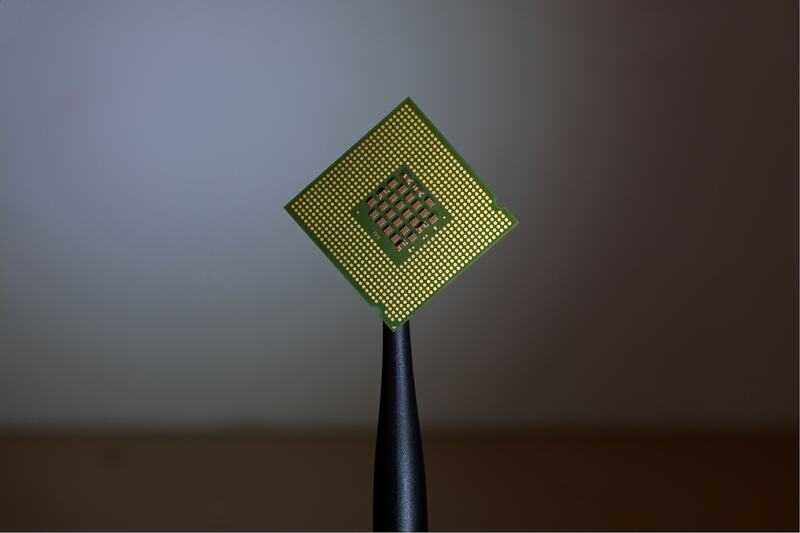 The first ever microchip hurtled into our lives in the early 1960s, since then the clever little squares have completely revolutionised our lives and miniaturised technology, making it more practical and readily accessible for everyone. The microchip is as important as the wheel, bronze, electricity and penicillin for human development. Any equipment or device that carries out complicated control functions needs a microchip, it’s the brain and the central nervous system of our beloved technological inventions. Microchips were even used for some of our most historic moments, including the Apollo mission. They are in our smartphones, computers, TVs, GPS systems, tracking devices, large processors, planes, trains, identity cards and now even used for medicine. If you take away the computer for example, which needs a microchip, we wouldn’t have the internet, smartphones, huge processors such as the Hadron Collider or any of the supercomputers that are chipping away at some of the most ‘out there’ human inventions going. And microchips aren’t just a boundless pandora’s box of information and expert memory retainers, they also navigate and control that information to the right source. The more you think about it the more you realise the colossal importance of our clever little friends. Basically, if microchips were sucked out of our inventions to never grace our lives again, our modern society would fall to its feet. Microchips have helped people across the planet to work, connect and carry out their daily lives in a healthier and more efficient way. Technology would be nothing without microchips, and technology systematically and unilaterally changed everything for us. And because microchips have always had a bit of a revolutionary streak, it comes as no surprise that some of the developments cropping up in the last few years are as weird and wonderful as they come. One of the stranger ones is human microchipping. The idea behind integrated technology has been coming over the hill for a while – computers went from fixed desks to laps to watches, and phones went from table, wall, to bag and pocket. The trend in technology has always been the smaller and more integrated the better, and what is more integrated than inside our very own bodies? In the very near future, microchipping people will rock our natural world and will fling it into a new era where technology will be part of our skin. And let’s not forget microchipping both animals and humans has been around for a few years already, with implants for your beloved pets and wayward children readily available. And mass microchipping of employees is on the horizon – The Swedish Incubator Centre started microchipping its employees in 2015 so that they can operate printers, open doors and use other encoded technology with their personalised microchip. There are also many inventors who are currently working on prototypes which would help us with health problems and mark huge medical advances. Tim Cannon, for example, is developing a chip that can read his internal thermal temperature, is able to connect to his smartphone and can ring an ambulance if his temperature abnormally spikes or drops. Even though the huge benefits human microchipping could reap is plain as day, anyone with sense will be able to hear the Orwellian bells chiming at the sound of us all marching to be chipped. The untapped potential of tracking our every move, from marketing campaigns to government surveillance, is staggering. Another project that will blow your scientific socks off is using microchips to turn light into sound. This might sound achingly pointless, but scientists across the world are devoting their lives to achieving this very goal. Why? Because if scientists are able to make light particles (or photons) do the same thing as electrons in computers it would mark a new computing age. Photons use a lot less energy and produce less heat than our current devices and would work through our fully functioning fibre-optic cables. The problem is that light is too fast, so scientists need to slow it down and they are trying to do that by turning it into sound via a microchip. In 2017, scientists in Australia had a major breakthrough and developed a light to sound microchip that worked for 3.5 nanoseconds. We are still a long way off a fully functioning chip, but once science cracks the puzzle, they’ll be able to build a light-based computer that would be faster, more efficient and cheaper than the computer you are reading this article on – pretty nifty stuff. Another awe-inspiring invention currently being developed is a microchip which contains a particle accelerator. Yes you read that right – kind of like a a microchip Tardis. The Large Hadron Collider in Switzerland has a circumference of 26 Kilometres and is used to collide electrons together. What the researchers at Friedrich-Alexander Universität Erlangen-Nürnberg want to do is to create the smallest machine of all time so that they can use laser beams to accelerate electrons within a microchip. If achieved, the invention will be as important as the first ever computer and will revolutionise material science, biology and medicine, especially so for cancer therapy. As you can tell I’m a bit of a microchip groupie, but mostly an admirer of inventions that change our way of life for the better, inventions that fling us into a sparkling new age. And microchips have hands down helped us to fly forward at warp speed. The next steps for microchips are going to take us on a psychedelic ride into the limits of human imagination, science and technology – the only question remaining is, will it be the making or unmaking of the human race? Like any huge leap into the unkown, the gamble is often worth the reward.